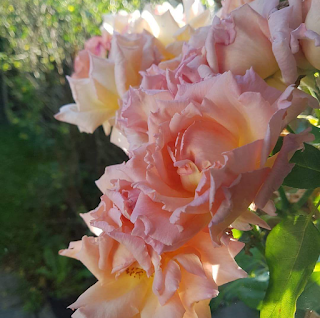 I saw all of this gorgeous color on the way home today. 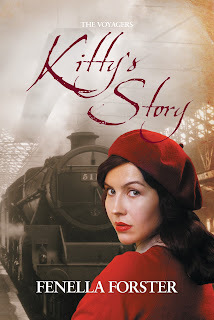 The new book, Kitty's Story, the third novel in The Voyagers Series by Fenella Forster, takes readers on a fascinating journey during the World War II era. 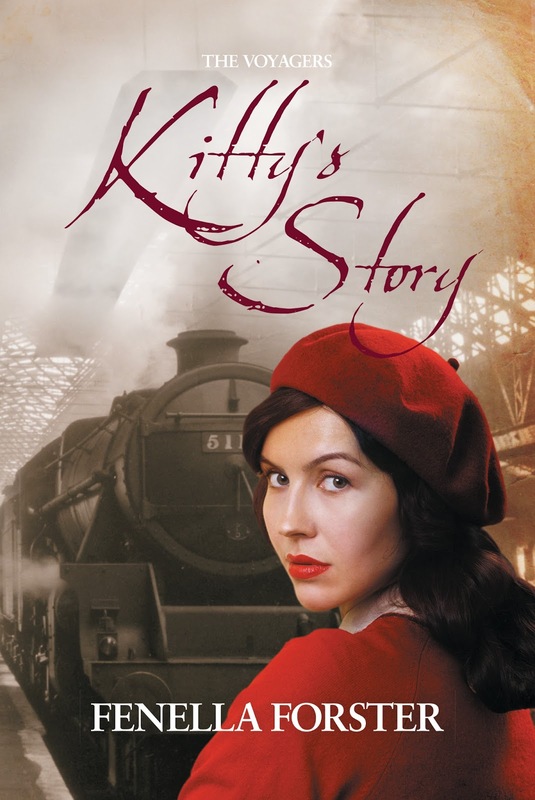 This is the story of Kitty, a seventeen year old who is determined to do her part to help the war effort. At the beginning of the story we are brought along with Kitty as she arrives in London, intent upon making her dreams come true. She dreams of singing to the soldiers like her heroine Vera Lynn. However, she is not quite as prepared as she thinks she is to take on the world on her own. Early on she comes face-to-face with the harsh realities of war through her time in London as the city is attacked continually with bombs. 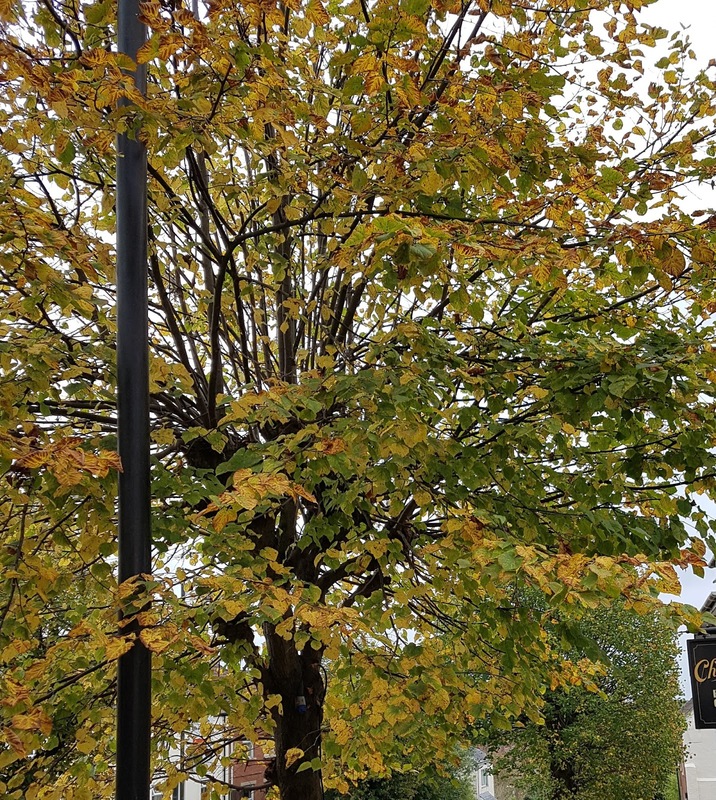 Autumn arrived just a few days ago as you know and with it the cooler temperatures have come to stay for a while. 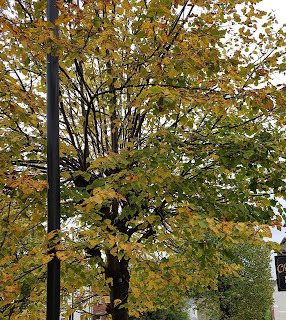 I love autumn with all of the leaves showing an array of beautiful colours. However, something else comes along too, especially during the colder months and that something is dry skin. Of course we can have dry skin anytime, but I find that my skin is at its most parched during the cooler months. That's why this is the perfect season to try some luscious new treats for dry skin. Organic Shop produces great products which can help soothe you from head to toe. They offer a range of products for your face, body and even your hair. Organic Shop products emphasize the need to take care of ourselves and seek tranquillity and balance as we go through our day-to-day lives. And these fabulous products are a great way to do just that. 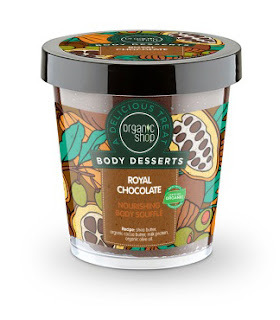 I have recently been enjoying using their Royal Chocolate Nourishing Body Soufflé from the Organic Shop Body Desserts line and I simply adore it. It contains shea butter, organic cocoa butter, milk protein, and organic olive oil. The shea butter prevents skin dryness and makes it soft and supple, while the organic cocoa butter and milk protein nourishes and moisturizes the skin. As a bonus, the organic olive oil helps to slow premature skin ageing. 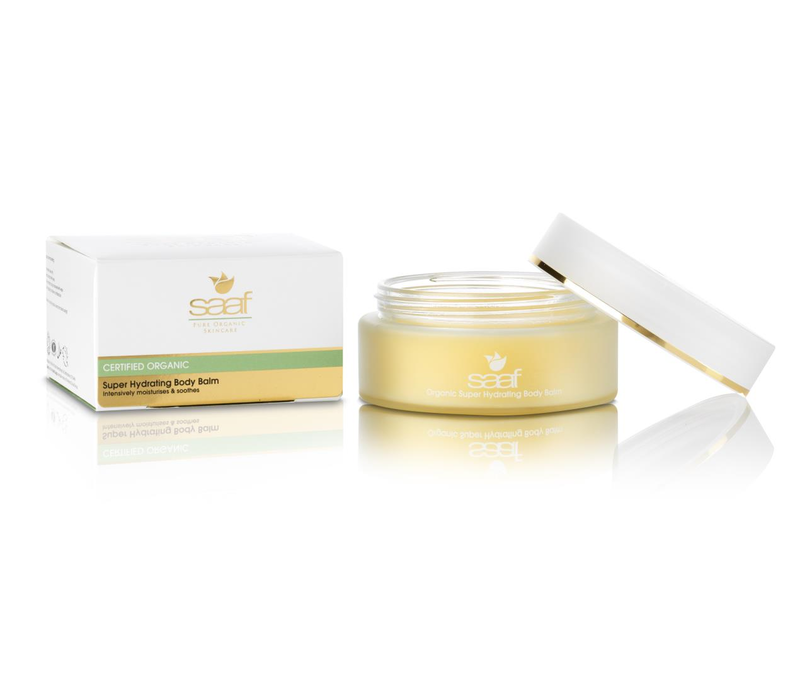 Knowing what goes into this luxurious body soufflé is great, because it lets consumers know what they are putting onto their skin and that's great. However, in addition to the wonderful ingredients, there is the experience of using this lovely product. The first time that I opened the tub of body soufflé I just wanted to eat it! (NOTE: PLEASE DO NOT EAT IT!) It smells so good...just like a delicious chocolate dessert. Royal Chocolate Nourishing Body Soufflé comes in an ice cream style tub so it looks like you're getting ready to indulge in your favourite ice cream. However, this is not a treat for eating...it's for applying to your skin and taking in the wonderfully chocolate aroma. Just apply a small amount of the soufflé onto clean dry skin with light massaging movements and enjoy! This is a real treat for your skin. I absolutely love it. *Disclosure: I was sent this product for review for free. All opinions are mine. 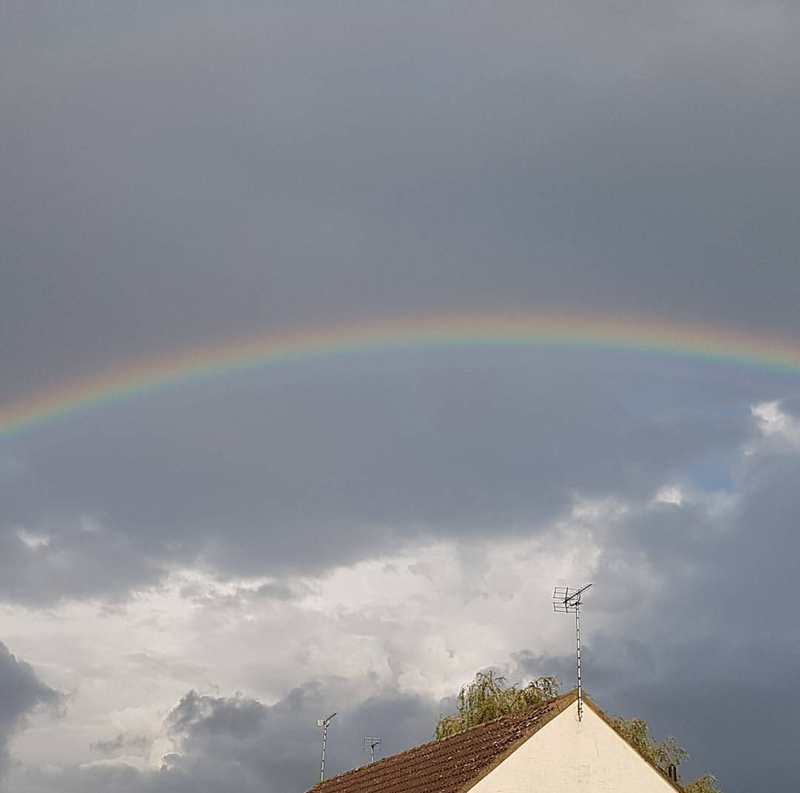 Autumn has definitely arrived! The calendar marked the occasion a few days ago and the weather here currently is absolutely illustrating that the new season is upon us. At this time of the year we turn our attention to switching our wardrobes from lighter summer clothes to warmer cardigans, scarves, leggings, boots and other clothes of that nature. This time of year also reminds us to give our skin an extra dose of care as the weather gets colder and our skin has a tendency to dry out. Our skin is put through the ringer with the cold winds that blow as well as the heating within our houses and places of work. This can all lead to dry and flaky skin. Since it's getting rather cool where I live, I'm already seeing signs of my skin drying out...especially my hands. So I was so pleased to be given the opportunity to try out this wonderful skincare product. 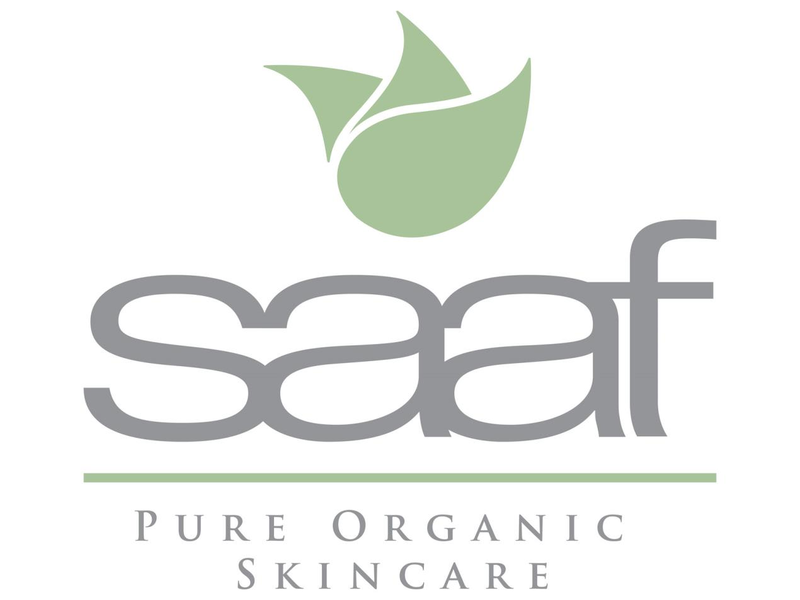 It's Saaf Pure Organic Super Hydrating Body Balm. This lovely body balm is the perfect treat for dry skin and delivers such an intense moisture boost. It provides the rich moisturizing barrier for your skin against the elements during the colder months or any time of the year. It's a nourishing treat for the skin. 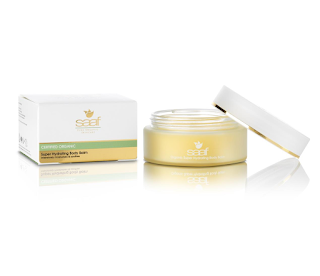 Natural lipids, essential fatty acids, natural Vitamin E and special anti-irritant ingredients help soothe and repair the skin, while a brilliant blend of protective and nourishing botanicals and organic beeswax help combat intense dryness and restore suppleness and elasticity to the skin. 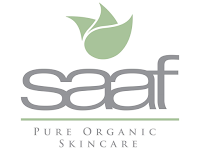 It's formulated with rare, organic, cold pressed botanicals and the finest quality steam distilled organic essential oils with scientifically proven healing and anti-ageing properties, Saaf Pure Skincare is one of the world’s most accredited skincare ranges. Safflower oil which helps soothe irritations on even the most sensitive skin. Sesame oil which has exceptional moisturising properties. It penetrates the skin easily, nourishing and detoxifying the deepest tissue layers. Organic beeswax which helps soften dry skin whilst shea butter improves elasticity. Its cell regeneration properties are an effective anti-aging ingredient that also helps to fade scars. Black carraway seed oil which can help reverse the effect of sun damage and rejuvenate tired-looking, dry and damaged skin. Ylang ylang, patchouli, lavender and clove essential oils which help soften the skin while also giving this luxurious balm its delicious spa like fragrance. I love this luxurious body balm! It goes on so smoothly and it really does its job. I'll definitely be using it during this autumn and on into the cold winter months. I'm sure my skin is already thanking me! Since tomorrow is the Autumn Equinox aka the beginning of fall, I thought that I'd share a couple of photos. 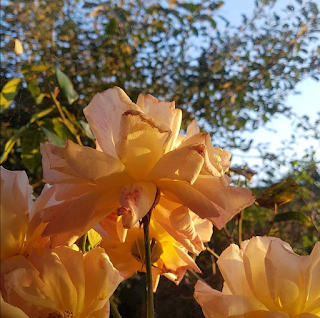 These are the last of the summer roses in our garden. This rose bush blooms every year, but this year they especially "rose" to the occasion. 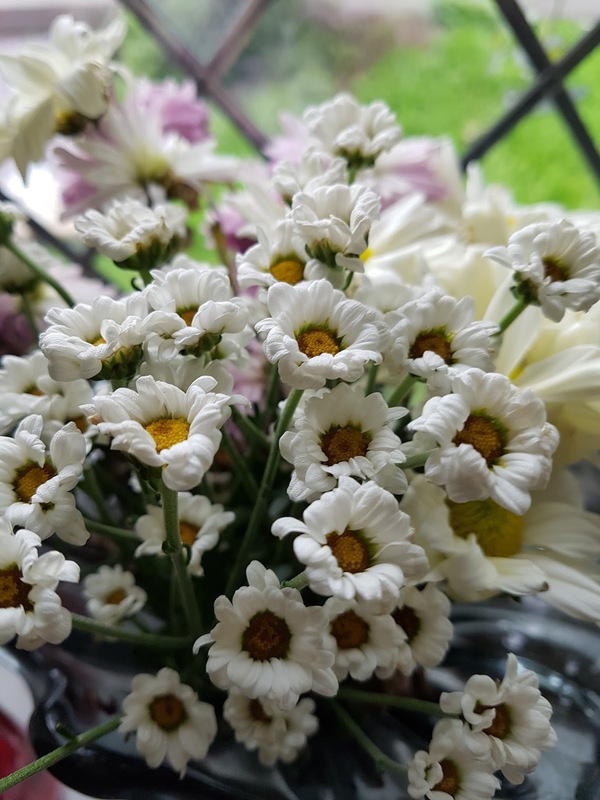 To me they are a reminder that despite the hard things in life, there is still beauty around us every single day. 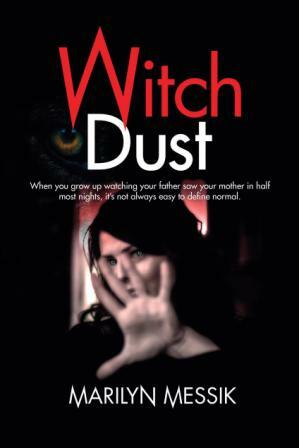 I've recently had the opportunity to read a new novel called Witch Dust by Marilyn Messik. It's the story of Sandra, the daughter of illusionists Adam and Ophelia, and her intriguing extended family. Sandra's life with her performing parents is definitely not boring, but once she finds out about family that she's never known, things get even more interesting to say the least. Sandra's parents part due to her father's wandering eye. After this upheaval, Sandra's mother comes clean and tells Sandra that she has a whole bunch of relatives that she never knew existed. This floors Sandra because her mother has always told her otherwise. This revelation leads to a journey back home for Ophelia. From the first moment of their arrival, Sandra is greeted by one eccentric and quirky relative after another. The characters are so rich and colourful. Readers are taken on a beautifully magical ride. I was enthralled by the characters and I was continually engaged throughout. I didn't want to put it down. There is always something happening in this story, from a failing hotel business to a documentary to the inner workings of family, and let me tell you, it definitely works. There is also a bit of the dark and supernatural thrown in for good measure and it all comes together to create a thrilling read. The characters are beautifully quirky. I really loved this book! If you'd like to get your own copy of Witch Dust, you can find it here. 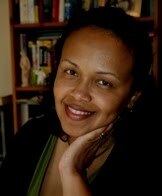 Marilyn Messik was a feature and fiction writer for magazines (Annabelle, She, Mother & Baby, Women’s Weekly, Telegraph Online, etc). Her first business was a children’s book and party shop. She subsequently moved into travel, researching and rating American country inns and publishing an annual full colour guide. 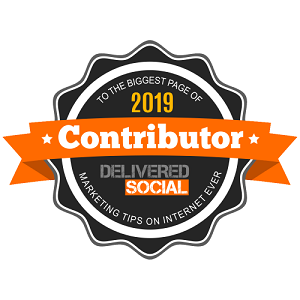 She currently runs a copywriting consultancy, helping businesses and organisations plan, shape and optimise communication. 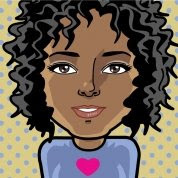 Marilyn lives in Watford, Hertfordshire and is the author of Relatively Strange and Even Stranger. Her writing style has been described as “A cross between Stephen King and Maureen Lipman.” although, as she points out, she’s really not sure either of them would be remotely thrilled to hear that! These flowers are at the tail end of their time sitting in the window, but they're still so beautiful! 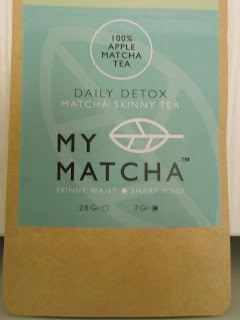 Recently I was given the opportunity to try a product called MyMatcha Skinny Tea. 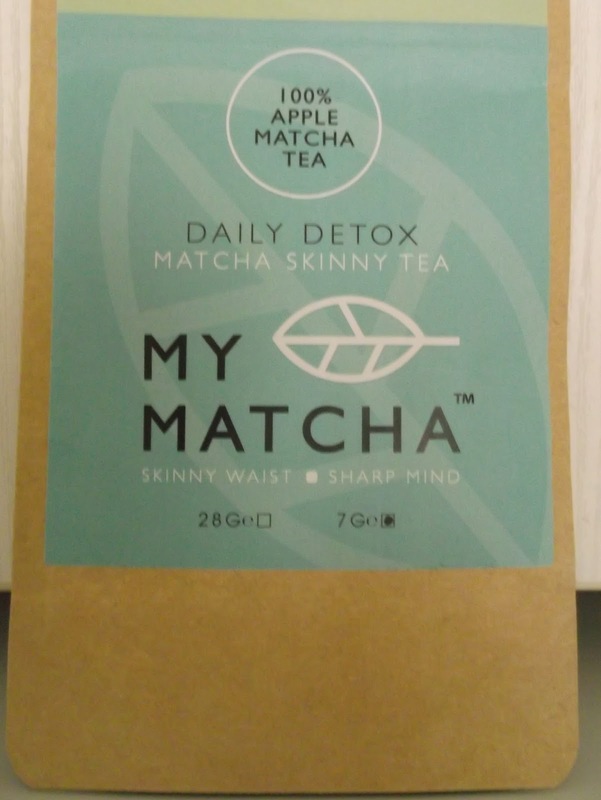 I tried the apple flavour and I really enjoyed it. It has a pleasant taste and it was a good change of pace for me drink wise. I can't believe that it's September again...this year surely has flown by, but then it seems they all go by faster and faster :) I always like a new month because it helps me to collect my thoughts about the month that's just finished and then I can look forward to what the new month brings. Of course we never know what's around the corner, but I always hope like we all do that the new month brings good new things. So here's to hoping that September is full of good things for us all!